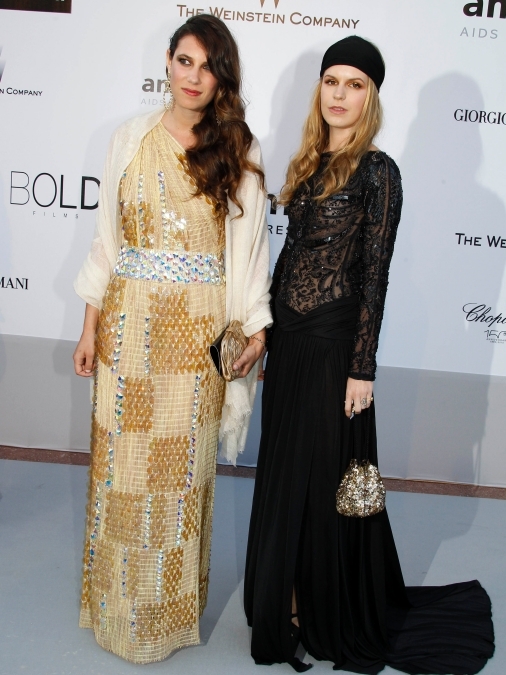 Are you ready to know the style of our two latest it-girls: Tatiana Santo Domingo and Poppy Delevingne ?? The Tatiana's hippie-chic or the Poppy's rock style, which do you prefer ? ¿Estáis listos para conocer el estilo de nuestras dos últimas it-girls: Tatiana Santo Domingo y Poppy Delevingne? El hippie-chic de Tatiana o el chic rockero de Poppy, ¿ cuál os gusta más ? 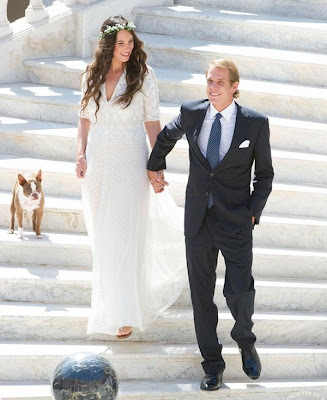 Is not only for her engagement and then marriage with Andrea Casiraghi that Tatiana is an it-girl, but also for her hippie-chic style which has carried her to found her own brand : Muzungu sister. 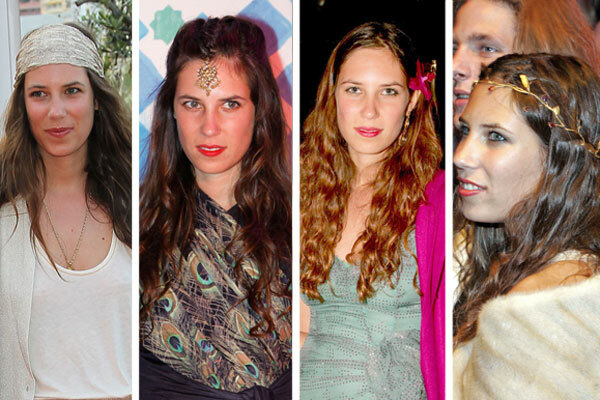 Muzungu sister sells Moroccan caftans, South American ponchos and scarfs from exotic places. 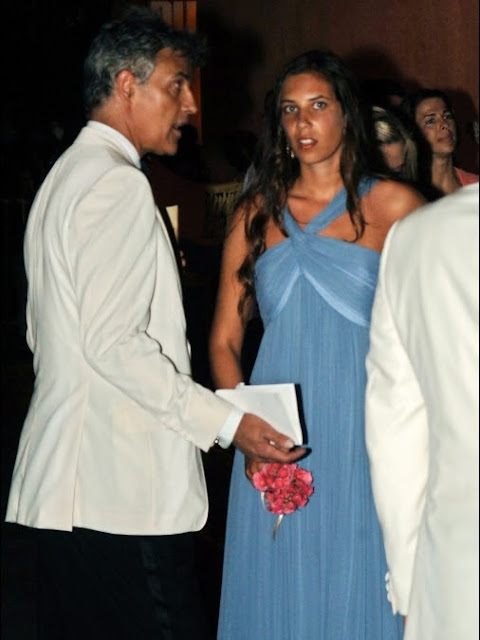 No es solo por su noviazgo y posterior matrimonio con Andrea Casiraghi que Tatiana es una it-girl, sino también por su estilo hippie-chic que le ha llevado a fundar su propia marca : Muzungu Sister. Muzungu Sister vende caftanes marroquíes, ponchos sudamericanos y foulards de lugares exóticos. Her style is characterized to mix flowers, colours, patterns and fabrics. Her favourite clothes are dresses and long skirts with flounces. Su estilo está caracterizado por mezclar flores, colores, estampados y tejidos. Sus prendas favoritas son los vestidos y las faldas largas con volantes. But what gives the different touch to her bohemian style are complements : scarfs, big earrings, necklaces, hats, turbans and headbands. Pero lo que le da el toque diferente a su estilo bohemio son los complementos : foulards, pendientes grandes, collares, sombreros, turbantes y diademas. In her marriage, the last 30nd of August, she was true to her style wearing a white dress, a pair of sandals and like hairstyle, a headband made flowers. En su matrimonio, el pasado 30 de agosto, fue fiel a su estilo vistiendo un vestido blanco, unas sandalias y una diadema de flores como peinado. Tatiana and Andrea after the ceremony. Tatiana y Andrea después de la ceremonia. Like I said, I added Poppy in the list. When I saw the it-girl's list, I couldn't believe what I was seeing : Poppy wasn't in it and she can't miss !!! Nowadays, all of us we know who's the most famous between the Delevingne sisters, but if Cara has succeed is thanks to her sister Poppy ! Como dije, he adjunto a Poppy en la lista. Cuando ví la lista de it-girls, no me podía creer lo que estaba viendo : Poppy no estaba y ella no puede faltar !!! Hoy en día, todos nosotros sabemos quien es más famosa entre las hermanas Delevingne, pero si Cara ha tenido éxito es gracias a su hermana Poppy ! The British girl was discovered by Storm Model Management, after a short time she was modelling for Alberta Ferretti, Mango or Burberry. Today, she's essential in the front-rows of Paris, New-York, Milan and above all, London. She's the ambassador of the British Fashion Council and Chanel. La británica fue descubierta por Storm Model Management, al poco tiempo desfilaba para Alberta Ferretti, Mango o Burberry. Hoy, es imprescindible en los front-rows de Paris, Nueva York, Milán y sobre todo, Londres. Es la embajadora del British Fashion Council y Chanel. She has a very personal style, very rocker but at the same time always chic. She loves leather jackets, short pants, long dresses and dark colours. Tiene un estilo muy personal, siempre rockero pero al mismo tiempo chic. Adora las chaquetas de piel, los shorts, los vestidos largos y los colores oscuros. She likes Burberry or Chanel but in her wardrove you could find also brands like Mary Katrantzou, Jonathan Saunders or Topshop. But the reason we love Poppy is her charm, naturalness and education, in fact she has never caused a scandal. Le gustan Burberry o Chanel pero en su armario podréis encontrar también marcas como Mary Katrantzou, Jonathan Saunders o Topshop. Pero la razón por la que adoramos Poppy es por su encanto, naturalidad y educación, de hecho nunca ha provocado ningun escandalo. Anyway, have a good Sunday and see you soon!! En fin, pasad un buen domingo y hasta la próxima! !